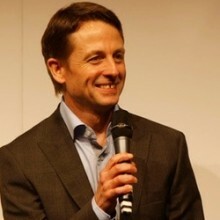 BBC Formula One lead television commentator Ben Edwards is at the helm as the next Online Instructor for SAFEisFAST.com. Edwards has been involved in every aspect of the sport over the past 25 years, from mechanic to accomplished racer and now successful motorsports commentator, covering a vast array of formulas over the years. Post your questions now through June 23. His answers will be posted daily beginning Monday, June 24, during the lead up to the British Grand Prix. Ben Edwards, lead commentator for the British Broadcasting Corporation’s Formula One television coverage, takes over as the latest Online Instructor. Edwards has been involved in virtually every aspect of the sport during the past 25 years. Having started out working as a mechanic in his teenage years, Edwards began campaigning a Pre-‘74 Formula Ford 1600 car in the mid-1980s. He went on to win the inaugural Formula First Championship in his native England, then showed promise in Formula Vauxhall/Lotus where he competed alongside future stars such as David Coulthard, Mika Hakkinen and Allan McNish. Like so many talented youngsters, Edwards lacked the financial flexibility to continue to move up the ladder. Instead, while earning a living by instructing at a race car drivers’ school in the UK, he was invited to try his hand at circuit commentary. He was a natural. Before long, Edwards had turned his hobby into a career, springing to prominence with the Eurosport TV network, broadcasting coverage of Formula One alongside former Grand Prix winner John Watson. In the mid-1990s, when Eurosport lost its F1 contract, Edwards found a new niche with his enthusiastic world-feed commentary during the heyday of CART and the Champ Car World Series. 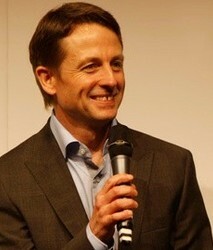 He later resumed his focus on European racing, covering a diverse range of series including the British Touring Car Championship, A1 GP, Superleague Formula and the FIA GT1 World Championship before being selected to lead the BBC’s announce team when the broadcasting giant gained a new contract for F1 coverage in 2012. Ben Edwards answers your questions! I love motorsport but unfortunately I have not been privileged to compete in the sport. As I am now in a position to finance myself from 2015 onwards, which less costly category of motorsports would you recommend me to start? I am turning 25, I love circuit based racing – single seaters, GT, Porsche Cup racing. I would like a category that helps me enjoy the sport as a hobby, improve my driving skills and become a safer driver. Hopefully one day I will make it to WTCC or any other international series like that. Sometimes it can feel as though if you haven’t started karting when you were five years old, that the world of motorsport is a closed book. That is definitely not the case and plenty of drivers have established themselves as international professional drivers starting in their 20s; here in the UK, Touring and Sports car drivers Will Hoy and Win Percy spring to mind. With an open cheque book, I would be tempted to start through one of the racing school single seater programmes, and then maybe a year of single seater racing before perhaps switching into Touring Cars or GTs. The single seater teaches you so much about car control and basic vehicle dynamics which can always be transferred into bigger, heavier cars which are more likely to offer a career path for a slightly older driver. To get into F1, I would argue that you need to be winning junior single seater racing by early 20s at the latest, but F1 is not the only series out there…. What are several differences you see between open wheel racing in the U.S. and in Europe? In the US, they go round in circles more! Obviously, the key difference is oval racing and its something I would love to have tried at some stage. While I agree that an American driver probably needs to come to Europe fairly early in their career if they want to go F1, I also think that some oval racing experience would be a good career move for an aspiring European racer. You never stop learning, and to understand what it takes to be fast on an oval is bound to help a driver in other situations. Do you think it’s important for me to have an understand of the history of the sport? That depends on your involvement. As a driver, you don’t need to know the history but it can help to understand some of the decision-making processes that the top drivers employed to ensure their progression through the ranks. It can help to understand the relative values of driver, team, equipment and luck in the grand mix of being successful, and help educate your own decisions. If you want to be a journalist, then understanding the back story is important, if you’re an engineer, then go and read Mark Donohue’s ‘The Unfair Advantage’. It might be based in a different era but the psychology is just the same. Too late?! Definitely not; even if some kids started 10 years before you, it doesn’t mean they will have the determination and tenacity to follow the motor racing path for the rest of their lives. Karting is still a great place to start, as long as you don’t expect to win straight away, because there will be others with more experience. But it is a brilliant form of motorsport and great fun. Then in a year or two, try out a single seater at a racing school and see if you enjoy it. Try to do some single seater racing and build from there. Do not be out psyched by the guys who have been karting since they were five; I’ve seen many brilliant karters make the switch and win, but plenty who have failed. It’s all down to how you adapt and learn and perform yourself. I am currently a working professional but absolutely love F1 and have done since my childhood and would love to be involved in F1. I would like to ideally work in journalism or broadcasting of the sport (such as the team delivering information to commentators and pit crew), but how do I get involved? Do I need to complete qualifications to be considered? Another option would be marshaling. Do you know how I would volunteer to be an F1 marshal? Several questions here! Volunteering in motorsport is one of the best ways of becoming involved and being on the inside of the sport, meeting like minded people and enjoying your weekends. Here in the UK we are lucky that so many circuits are within a fairly small geographic area, so some marshals work all over the country whereas others concentrate on their local track. Getting to work at the F1 GP means serving your time at some of the low-key club events first and earning your stripes, but you sometimes meet friends for life at those smaller events. In terms of working in journalism and PR, there is no hard and fast rule. Some people have started by working for a motorsport magazine, others have come in from University but not necessarily with a journalistic degree. Everyone probably has a different story. Talking of which, there is an ebook, a novel written by the wife of ex-F1 driver Alex Wurz, which tells it how it is from a team PR’s point of view ( a little dramatic licence) called SuperEgo by Julia Wurz. Worth a look! I have shown that I have the speed to win races and, hopefully, move on up the ladder, but I am naturally introspective and not very good at public speaking or promoting myself. Can you suggest any ways to overcome that shortcoming? I totally understand your point of view; you want to focus on the driving which is what you’re good at, and not worry about the publicity. Sounds a bit like Kimi Raikkonen to me; if you’re as fast as he is, you won’t have to worry! But the reality is you need not only to be successful but to be seen to be successful. Perhaps you can team up with a friend or family member who actually enjoys writing, taking photos etc and work together to come up with a website, a Facebook presence and a Twitter account. In fact, for those of you who want to become a journalist or work in PR, starting by working with a driver may give you an ‘in’ to the sport. One of the secrets is to know your strengths and then find people who can support you in the areas you are less strong. Nobody else can do the driving for you, but the other bits can be delegated! Why do you think F1 journalists punish drivers who speak their mind and often like those who don’t want to share their point of view and emotions? Isn’t it a bad example for aspiring drivers to hide their personalities behind a curtain just like Sebastian Vettel who openly admitted doing it recently or Kimi Raikkonen who has chosen doing it from the very start of his career. Journalists want material to write about. They’re always hungry for the next story. They are not necessarily punishing a driver who speaks his mind; they actually thrive on the controversy that an outspoken driver might create and that’s the reason that Mark Webber will be missed when he leaves F1 next year. You say that Raikkonen is popular with journalists; I would add a caveat to that. They appreciate that he doesn’t just trot out the corporate line, but he does sometimes drive them mad when he doesn’t open up a bit more on the hot topics of the day, and it can be hard to build a feature around a guy who keeps himself to himself so much. Ultimately, the mix of different personalities is what makes it interesting. In your opinion are computer controls good or bad for the sport? They’re unavoidable to a certain degree, but having said that, I think it’s great that F1 has been able to outlaw traction control and police it successfully for a good many years now. I prefer to see the driver doing the work, but the mix is not bad at the top level. Is EJ (Formula 1 team owner turned BBC TV pundit Eddie Jordan) as crazy off camera as he seems on TV? He is an enigma. Always looking for the edge in a given situation, and determined to win even though he doesn’t run a team any more, but also with a big heart and a real passion for people. Crazy? No, but unique yes. I’m a 13-year-old karter, and I was wondering would Formula Ford be the best way into Formula 1 or is there a better way? There is no right or wrong way, particularly in these times of multiple formulae at the lower levels. Formula Ford is a good option, but there are always new initiatives appearing that may open doors. I do feel that it is sometimes a daunting task for a young driver to try and work out which is the best route to take nowadays, but ultimately the best thing is to be winning, even if that means staying at a lower level for another year. I jumped up too early in my own racing career, based on the experience I had, and it wasn’t the right thing to do. If you are winning regularly, in whatever class you are racing, it is much easier to persuade people to help you achieve the next step. I recently was offered an opportunity to attend a racing school. Is this the right direction for a driver with little experience who knows this is for him? Yes, I believe a racing school can give you an insight to what it’s all about without requiring you to invest in buying a car and then having no idea how to run it! That doesn’t necessarily mean you have to do a full racing school programme from beginning to end, but to sample the sport and to learn from others that have been there and made mistakes of their own is a great way of accelerating the learning process. What has been your favorite series to commentate so far? Formula One is the pinnacle of the sport, and I Iove the challenge of keeping up with strategy, listening into radio messages and trying to follow the changing fortunes of a grand prix, so I suppose F1 is my favourite. But for sheer spectacle I have enjoyed British Touring cars hugely, while Champ Cars in the late ‘90s was an amazing series to work on and A1GP saw the emergence of some great driving talent, so I have been very lucky. With all the years of experience both behind the wheel and the microphone, what in your mind is the single most important thing young drivers need to work at to be successful? There are so many factors, Bob, but for me one of the most significant is commitment. Total focus and an inner drive to succeed that needs to come from the driver, not just those around him or her. I love to see that kind of focus in a young driver. Ben, Thanks for taking our questions! I have been a mechanic on everything from a dealership setting to Indy cars. Racing is my passion and I have won a couple of karting championships (one at club level and then one regional). I’ve been away from racing for about six years and started getting back into shifter karting. I’m 38 and wonder if that’s too old to be looking at a career in racing? If not, what steps can I take to pursue my passion? A career as a driver, earning a living purely through racing, is a difficult thing to achieve at any age but that’s not to say it can’t be done, and by combining racing with tutoring, car set-up work and perhaps working as a race engineer then there are always possibilities for the truly talented/determined. I don’t think that talent diminishes with age, but what is affected is flexibility of driving style for dealing with different types of car. We often see drivers going long into a career and remaining successful but that is usually when they remain within a category they know well; look at Mario Andretti racing competitively in CART into his 50s. Perhaps you could continue to enjoy motorsport as a hobby, and use your wealth of experience to help some of the youngsters coming through? Hi Ben, how did you feel about doing the commentary for F1 Digital+ in its UK guise in 2002? Do you feel that it was ahead of its time? Yes, I think F1 Digital+ was ahead of its time. We had separate channels for on-boards and pit lane, we were able to talk to team members direct from their pit boxes and the coverage was superb. But it wasn’t cheap to the viewer and at a time when the terrestrial broadcaster had full rights to show all the races live for no cost to the viewer, I suppose it was understandable that not enough people signed up on the bottom line for the more extensive service. But I thoroughly enjoyed that year, despite it being a Schumacher steamroller season! Hi Mr. Edwards, I am an up and coming racing driver from South Africa and I am currently competing in the Grand-Am series. My question to you is how do I attract the attention of the media, commentators etc.? By talking to them! I remember being at Snetterton Circuit in Norfolk in the UK on a bright and sunny test day in the mid 1990s when I was still quite early in my commentating career. A young Australian driver was testing a Formula Ford that day, and he came up to me and introduced himself as Mark Webber. I remember being surprised that he knew who I was, but also impressed in the way that he presented himself and talked about his racing, and I never forget that introduction. Did I talk about him in a positive way when he was racing F3000 a few years later? You bet I did; it’s just natural to feel a bond with someone you’ve met and liked. So, go and talk to all the journalists and commentators you can find. They love motorsport, they love talking about it, but sometimes they don’t get the opportunity, so make it easy for them. Ben, thanks for your time. My son is 8 and started on a path to being a race car driver three years ago. If the future has a seat for him his dream will come true. If not, motorsports will still be a part of it. His knowledge of racing started before he could read and write and now he reads of racing, writes about it, announces his own races, draws race tracks constantly, etc. You know the type, I’m sure. I read your bio but what are some of the key lessons learned in your path in motorsports that led to now, and helped you develop your knowledge and skill to do what you do? Also do you have other roles in motorsports with your current skill set as well as announcing, like writing for instance? Thanks again. Your son sounds as though he has been bitten by the bug! Motorsport has so much going for it; teamwork, advanced engineering, competition, camaraderie, courage, inspiration, invention….I could go on for ages. There are many different ways to be involved, either at weekends as a hobby or as a profession. I think you have to follow your own passion within the environment of motorsport, whether that is writing or driving or engineering or working as an administrator or race official. Your son will naturally tend to follow whatever interests him, and then hopefully he can be encouraged while keeping an eye on the wider world as well. Some people have been bitten by the racing bug, it has driven them to study engineering at university, but then perhaps other exciting opportunities have arisen and they have gone off to aviation or production. What matters to me is that enthusiasm for learning is encouraged, and motorsport can be a key to that. Firstly, why did Mercedes F1 risk the Pirelli tire test? Also, why did Nico Rosberg bring it up at the Monaco driver’s meeting? A combination of factors. In my own opinion, I think Pirelli were getting deeply frustrated with the F1 teams because they needed to test their tyres on a current car which is producing much more downforce than the ‘test’ car they have been able to run in the last few years, but the teams couldn’t agree on making it happen. The season has been ticking by, the demands for 2014 are going to be even greater on the tyres and Pirelli needed to make something happen. Mercedes were presumably prepared to cover the cost of running a test and when the FIA was approached, they got a kind of OK so they went ahead. Of course it led to a storm of protest and hopefully will lead to some more sensible rules on testing; the current restrictions are too draconian and don’t help the sport. I’m not sure it was Rosberg who brought it up; there’s still some debate as to who first mentioned it…. Hello Mr. Edwards, thanks for contributing to SAFEisFAST.com. I was curious as to what kind of percentage (on a typical F1 race setup) the underside of the chassis vs. the topside downforce producing wings contribute to the overall grip level of the car? I would imagine that, in the past, wings were responsible for most of the aerodynamic grip. Can the same be said for today’s F1 cars? Thanks for your time. Surprisingly, despite the banning of ground effect tunnels in F1 a long time ago, the bulk of downforce created by a Formula One car is still from the underbody and the rear diffuser, the area just below the rear wing of the car which draws air out from underneath, creating a low pressure area and therefore creating the downforce which helps the car to grip. The front and rear wings are significant, but a great deal of their design is centered around helping that airflow beneath and around the car to generate the incredible levels of downforce that are generated. If I tried to drive a Formula One car, my neck muscles would give up within a lap! Being a very experienced driver in open-wheel racing, including F1600 cars, what are key components to win in a series that competitive, especially in Europe. At most levels beyond the most basic (and sometimes even then) the key components are budget and people. You need to have the right money for the series you are competing in, whether that comes through family, sponsorship, patronage, lottery, whatever. And then you need people around you who really know their stuff and with whom you can build a rapport. Sometimes when you start out that might only be one other person; when I won the Formula First series I was able to run the car myself and was helped by a friend who had won a FF1600 championship, so was always able to give good advice. As you make progress throughout the formulae, you need greater expertise around you, and the only way to find out who’s got what it takes is to be on the scene, absorbing it, talking to people and finding out. When the team is right, then it’s down to you. Next year is my senior year in high school. I’m going to graduate. There are no driving programs anywhere nearby, and since I was little I’ve always loved to watch any and every series of racing. Now I know driving is what I want to do. How do I start my path to a successful driving career? If you are determined enough, you will find a way to try it out and make a start. Even if there are no driving programs or racing schools close to where you live, I’m sure there will be something to do with motorised competition, whether it’s karting or autotesting, or a local car club that organises events. Get out there, meet people, find out how you can get started and then see if you really enjoy it. Driving was my passion, but I always hoped to be able to make a living out of the sport I love in one way or another and I have been able to do that, and I see many people working in F1 teams or as journalists who would have made good racing drivers themselves but while they didn’t get the opportunities to follow that career, they have remained involved and work constructively in what is an exciting environment. I would imagine that you’ve done countless interviews with drivers over the years. Which driver was your favorite to speak with and why? I would probably have to say Alex Zanardi. I was lucky enough to be commentating on most of his golden period in Champ Car, and I always enjoyed speaking to him or listening to him in press conferences. I also spoke to him the morning before his dreadful accident in Germany and I commentated on the race. We didn’t know the full extent of his injuries, of course, but it was so obviously a catastrophic accident. The next time I met him in person was at Brands Hatch for a round of the World Touring Car series, and as soon as he saw me, a smile lit up his face and he insisted on showing me the adaptations made to his BMW to allow him to race. Since then, I have read his book, listened to him talk about the challenge of the Olympics and seen him win Gold. What a guy. Who, among current drivers, is considered the premier “set-up guy”? Who seems to have the greatest innate ability to get what he wants from the engineers? You’ve made me think a bit here, Jack. Of course, only the teams really know how good each of the drivers may be in terms of feedback and assistance with set-up, and there’s no doubt that the game has changed from the earlier years of F1, even up to the late 80s and early 90s due to the amount of data that’s available to engineers. My own racing career crossed over with the introduction of data logging in the lower formulae; I never worked with it but I wish I had because as a learning tool I think it’s fantastic. Up to that time, the driver’s comments were crucial in providing knowledge to engineers as to which direction they should pursue. Now, there are teams of data engineers whose sole purpose is to read through reams and reams of data to understand what needs to be changed. So, while a driver’s feedback is still important, the balance has perhaps swung slightly back to the engineers in determining how the car will be set up. Having said that, I think that Nico Rosberg is probably one of the most particular in terms of understanding what he has and what he wants, while both Vettel and Alonso have driving styles that are quite individual, and they will always be looking for improvements in the car to suit that particular style. How would I go about getting noticed in the broadcasting/commentary world? An interesting question, Josh. Normally I am asked how to begin but in fact taking those next steps from doing the odd commentary at perhaps a race circuit or for a friend’s video to becoming established as a broadcaster are just as tricky as trying to step up the ranks as a driver. There’s no hard and fast rule, but basically it means looking for any and every opportunity and putting yourself forward, and then when the chance appears, you’d better be ready to do it well. I remember in my racing career that I had a couple of opportunities like that, and I probably didn’t deliver enough on the day. It usually took me a couple of events to feel totally at home in a particular car, whereas the super talented drivers are almost always able to deliver immediately. In commentary, there are no lap times to measure yourself against, but you can bet that the guys who are employing you are judging you, and in these days of social media, they are gauging the reaction from the fans. So, when I was given opportunities early in my broadcasting career, I made sure I had researched the subject exhaustively and that I felt totally familiar with every aspect of what I was talking about. And it served me well; I once had to commentate from Paris on an IndyCar race in Australia that was delayed for over an hour, and yet I was able to find enough to talk about to keep the viewers engaged. That was a key stepping stone to doing Formula One for Eurosport in the mid 90s.